Sarayu Hegde curates her love for luxe garments, footwear, jewellery and clutches at her charming little store, housed at Hatworks Boulevard. The Bombay Attic, Hegdea��s one-month old venture carries design names like Trupsel, Guapa, Silk Worm and Aquamarine among others. a�?I aim to promote Indian designers who are good but are not exactly well-known. We are a mid-to-high range boutique in terms of pricing,a�? Hegde explains. 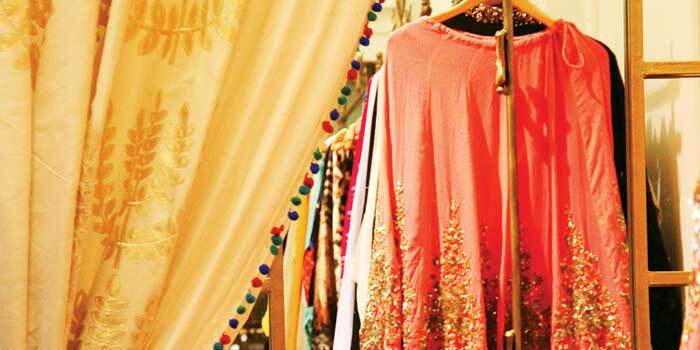 Having spent a major chunk of her life in Mumbai, Hegde came up with the name for the store due to her personal connection with the city, and also because it is a�?the fashion hub and stands for glamour and style,a�? she says. And glamourous quite easily describes the majority of the pieces stocked here, though a few casual ones can also be spotted. We especially like Mumbai fashion house, Trupsela��s collection that included dressy tunics, kaftans and blouses in cotton, chiffon and georgette. The colour scheme is versatile and extends from bright fuschia garments to subdued cream cotton tops with cream woollen embroidery and silver embellishments. Guapa from Delhi has on the racks a fine selection of maxi dresses which include toga styles in beautiful shades of pink, navy blue and cerulean, some with intricate beadwork on the neckline for an added touch of luxury. Also look for the impressive satin kaftans in a mix of orange, blue and green prints and a one-of-a-kind printed cotton trouser with a boho-desi edge thanks to the quirky latkans detailing that serve as a drawstrings. Silkworm, also from Mumbai, showcases mainly maxi dresses in bright orange, off white, deep green and crimson hues that come with chiffon shawls and highly stylish jackets that complement the garments perfectly. The collection also includes an elegant array of chiffon, georgette, crepe and chanderi silk saris in pleasing colours such as lime and parrot green, fuschia, canary and lemon yellow and crimson with silver, gold and bronze work. A versatile range of clutches that can easily be worn with western or Indian wear also caught our eye. Check out the jewellery line which includes necklaces, bangles, cuffs and earrings which are either silver or metal pieces bedecked with semi precious stones.